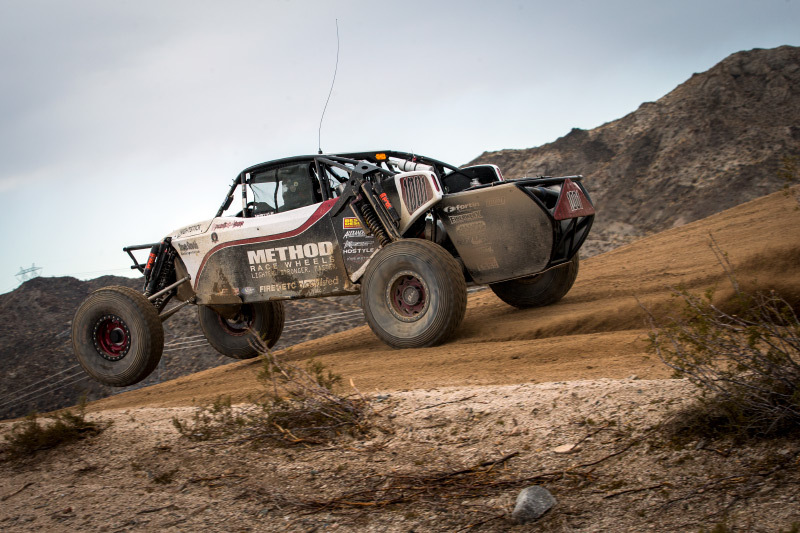 The Method Race Wheels Laughlin Desert Classic is a must for any desert racing enthusiast that yearns for close competition and the comforts of hotels & casinos. 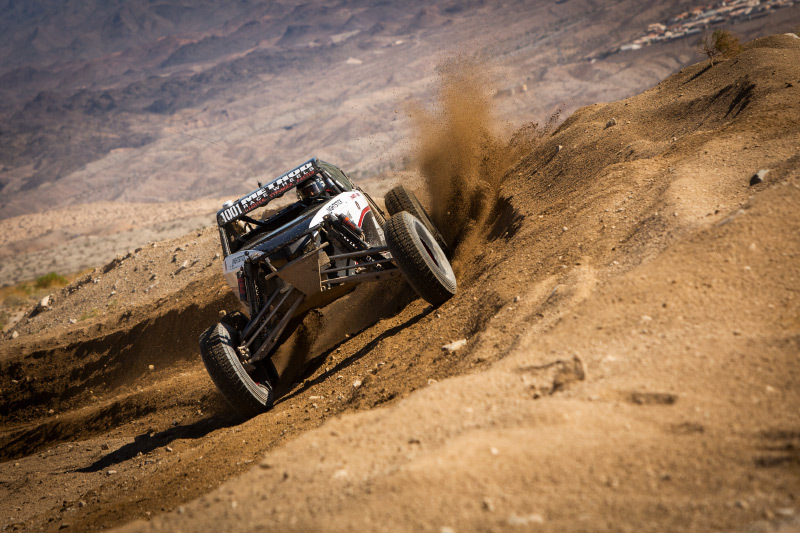 For 2018, Best In The Desert (BITD) set out the 16 mile loop through the harsh terrain of the Nevada landscape with twist through multiple racing lines, technical “gotchas”, and even a short course groomed infield. 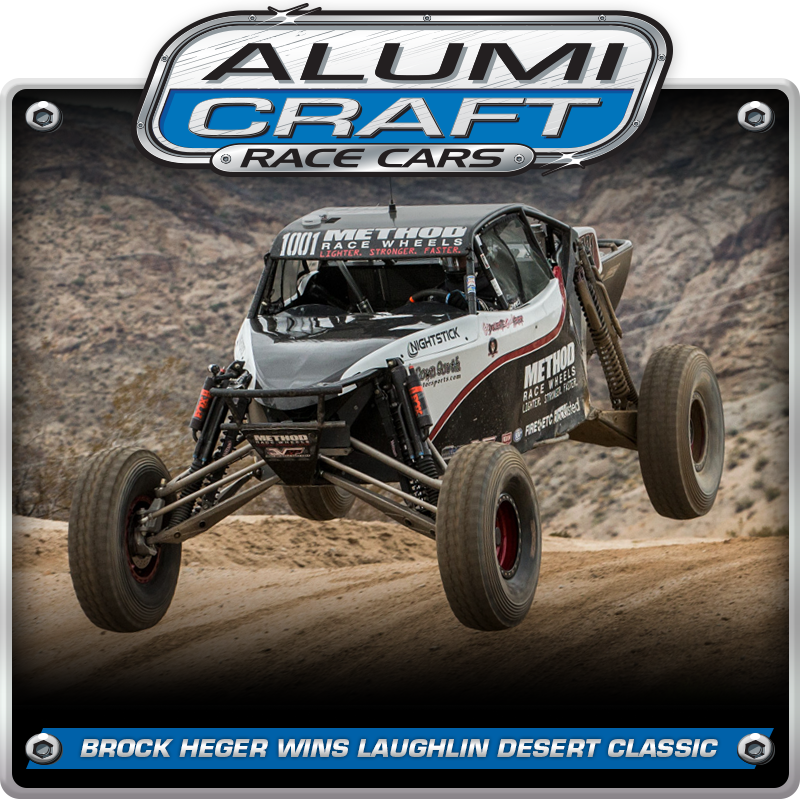 For Class 1000 racer, Brock Heger, it was his impressive high speed wide open driving style that pushed him to the front of the field for back-to-back wins in his Alumi Craft Race Cars buggy. 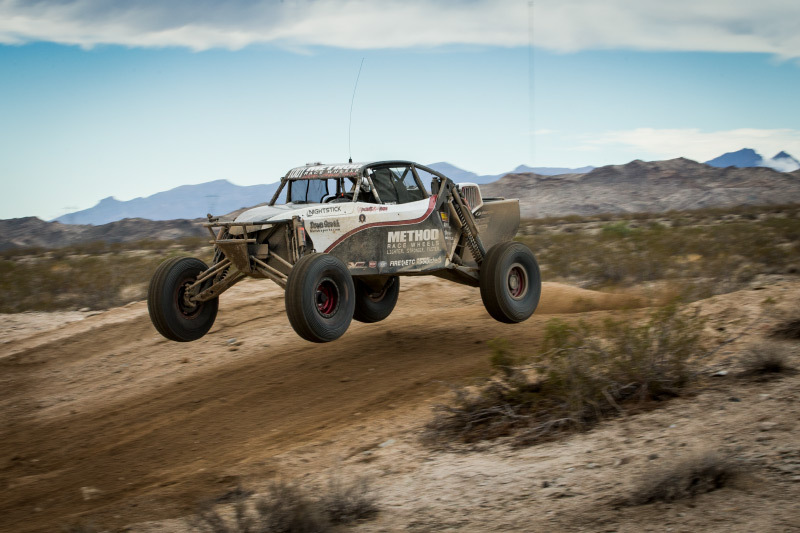 The Laughlin Desert Classic, taking place in Laughlin Nevada over the October 13th & 14th, featured 2 days of racing with classes designated into multiple heats. Each heat race consisted of four laps around the 16 mile course. The Class 1000 division saw almost 20 entries and they would start according to each cars finishing results at the BITD prior event; Vegas To Reno (V2R). Unfortunately for Brock Heger, V2R was his worst finish of the year where they ended up in 7th place. It should be noted, Brock’s 2018 record prior to that included two race wins and a 2nd place podium finish. Heger would start the Laughlin Desert Classic in 6th position and he understood that the only way to finish up front was to run the #1001 Alumi Craft at the maximum pace. Brock had already explored the course during the designated course reconnaissance and was confident he could lean hard on the Alumi Craft buggy. Heger got the green flag for Day 1 and laid down the throttle, charging hard. It is conceivable that he never lifted, because by the end of Lap 1, Brock had moved passed every other Class 10 on the course and was ahead on elapsed race time as well. At that point, Heger kept the pace on high speed cruise control and repeated every lap as near as consistent as possible all the way to the finish. Brock won the Class 1000 event well over 2 minutes faster than 2nd place and even managed to beat out seven 1500 Buggies. For Day 2, the weather had left a bit water on the track, leaving clean air. With Heger starting in 1st place there would be no cover from dust trails. Brock knew he had to run the same rapid pace if he was to repeat another win. Where others were believed to be checking up, Brock laid it down. Knowing the Alumi Craft was solid and nothing but reliable, Heger matched the pace from Day 1 and charged hard for the four laps to the finish. Brock finishing time was comparable on Day 2 and gave him another race win beating out 27 other buggies on the track. Alumi Craft Race Cars builds top contending cars that allow top performing drivers like Brock Heger to consistently run harder & faster and win more races. Alumi Craft offer many types of cars for competition or pleasure and a long list of services and support. If you demand the best, give Alumi Craft a call at 619-596-9841 to find out more about our race products and services.